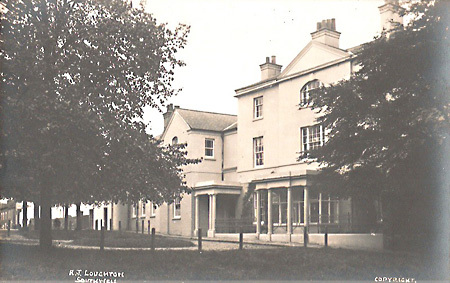 Burgage Manor was built around 1785-90 and is famous for its connection with Lord Byron. It was his mother's home from 1803 to 1808. Despite being at Harrow School and Trinity College in Cambridge during this period, Byron spent a considerable amount of time here. 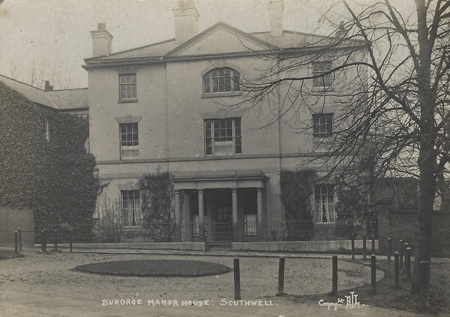 During the Great War, 1914-1918, Southwell's Burgage Manor was used as a war hospital. 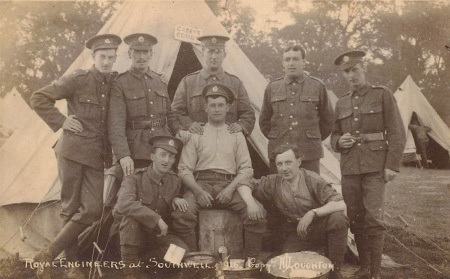 Here are some photos from that period featuring different groups of soldiers and nurses. 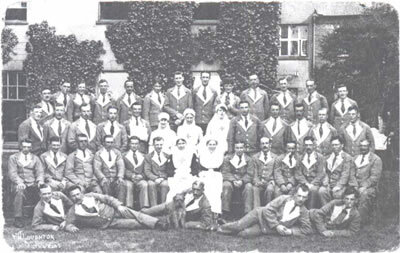 The nurses in the photo are wearing the Voluntary Aid Detachment (VAD) uniform. 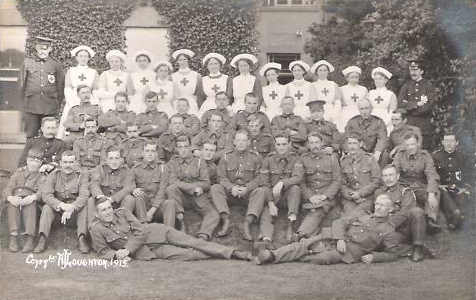 Sitting next to the nursing officer, the one without a red cross on her blouse, is Alfred Holland whose nephew, Patrick Holland of Australia, I thank for supplying the photograph. 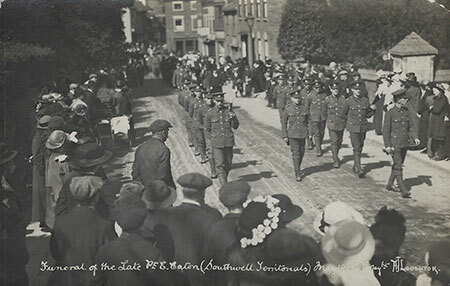 The photograph was probably taken in 1918. Still to have it's identity confirmed, but it does look like the same building in the background as the photo above. The photo is dated 1915. A general shot of the front of Burgage Manor. Date taken unknown. Shot from a different angle to the photograph above and at a different time. Notice the lack of ivy growing on the left hand side and the gap in the low wall leading to the front door in the above. Looking on Google Street View the above photograph resembles the current house more that this one, so I suspect that this is was shot much earlier by considerable years, long enough for the ivy to take hold.